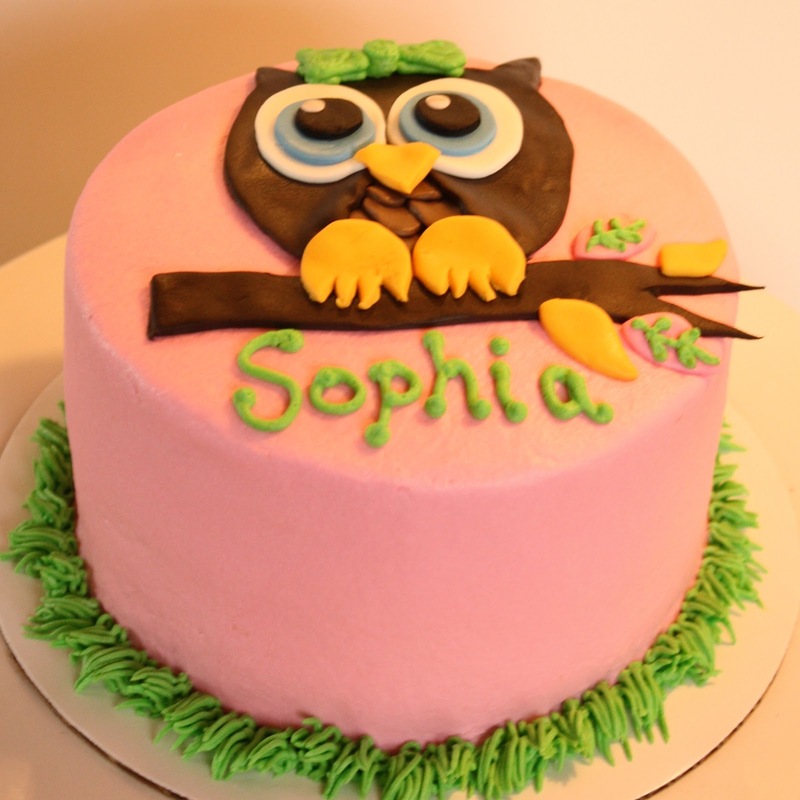 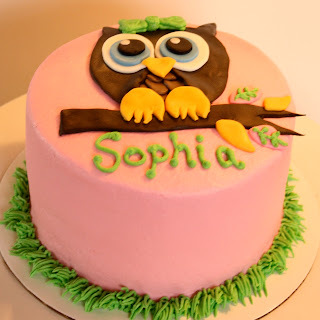 This little owl cake is marble cake with buttercream filling and frosting. 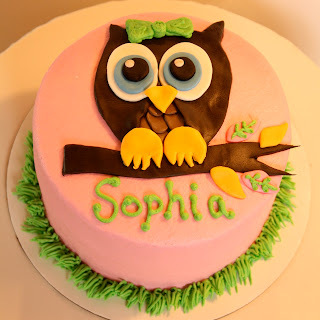 Happy Birthday Sophia! 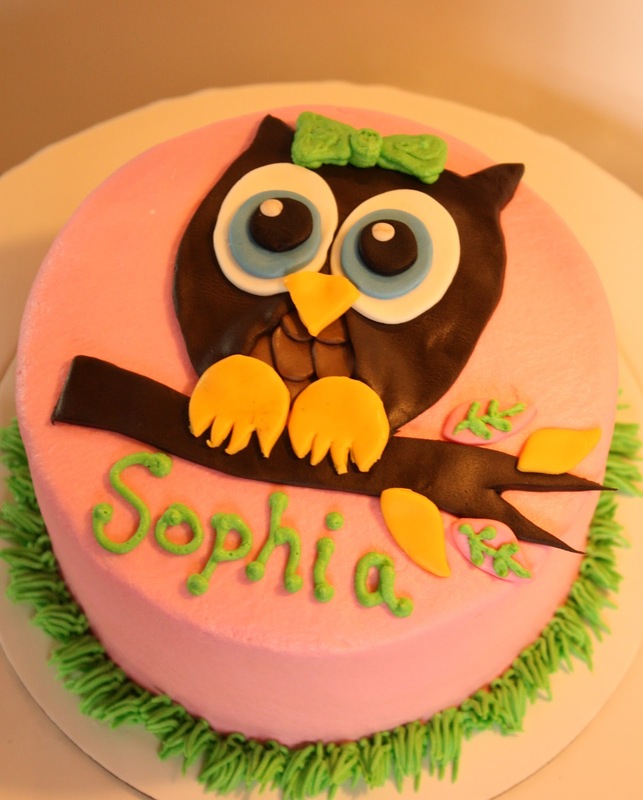 This cake was made to coordinate with the book Pinkalicious. 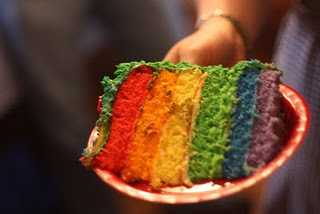 It is a 6 layer rainbow cake on the inside with buttercream frosting. 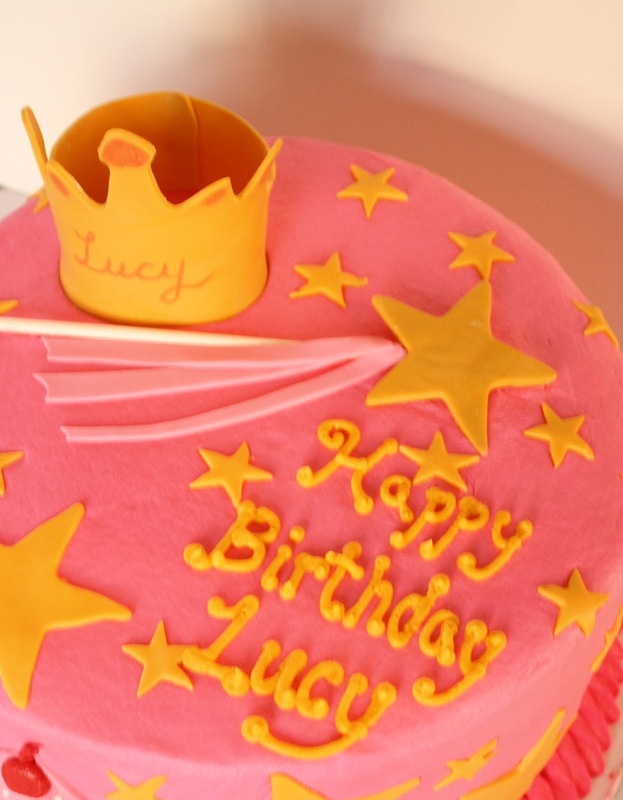 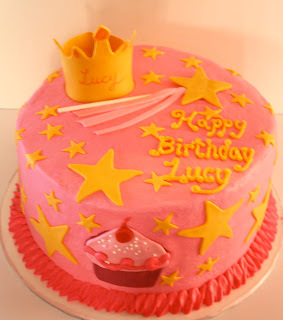 Happy Birthday Lucy! I had to post these pictures of the treats my daughter made for her teachers. 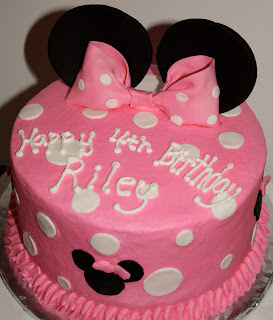 She's not even quite 4, but I think I'll be working for her before long! 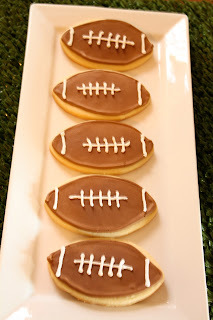 I decided to keep our Superbowl treats pretty simple. 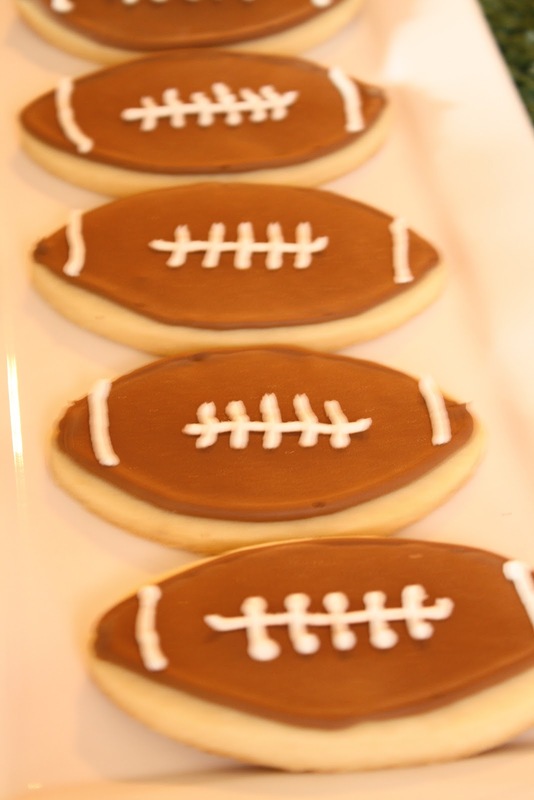 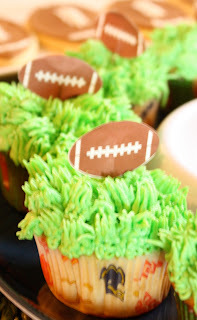 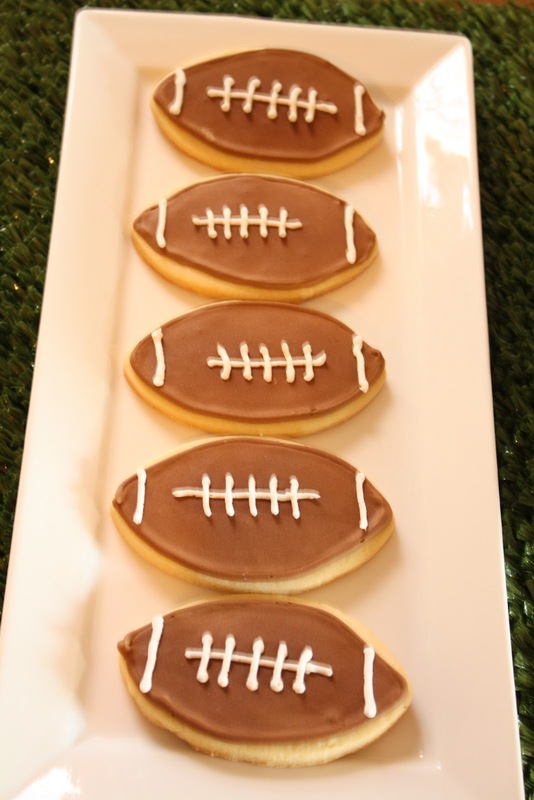 My daughter had so much fun piping the grass on our cupcakes, and my son can't wait to eat the football cookies. Now all we need is a Pats win....LET'S GO PATRIOTS! 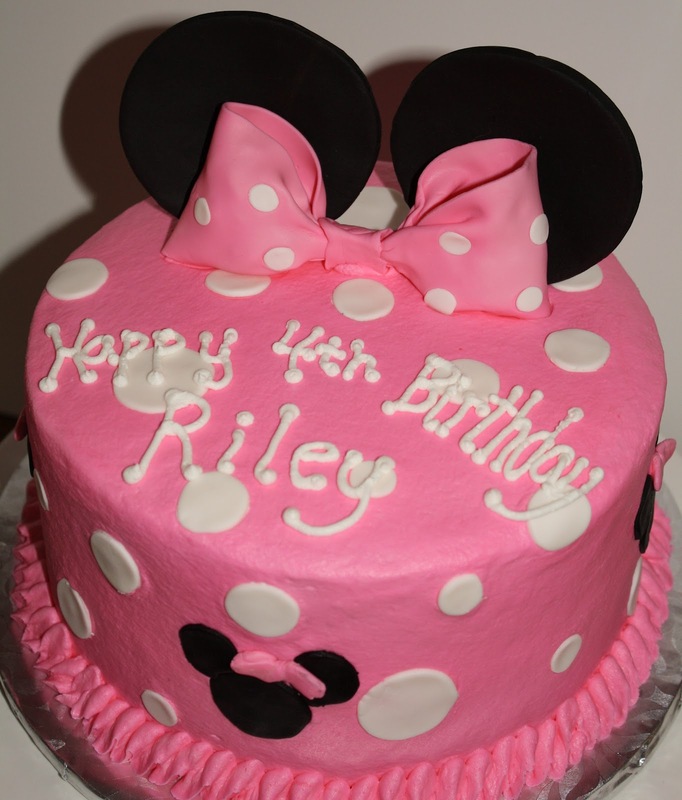 This cake is a little different than the first Minnie cake I made. 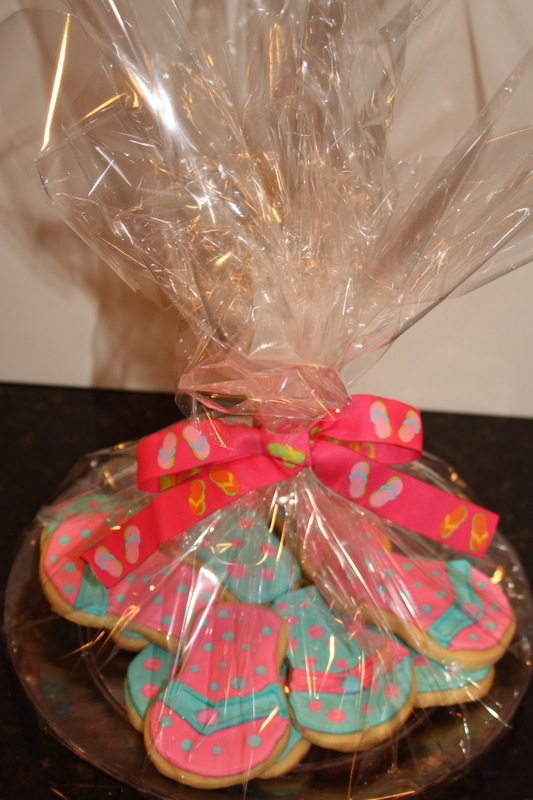 I have to say, I just love bows and polka dots! It is a yellow cake with buttercream filling and coordinating cupcakes for school. 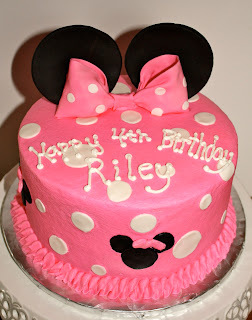 Happy Birthday Riley! 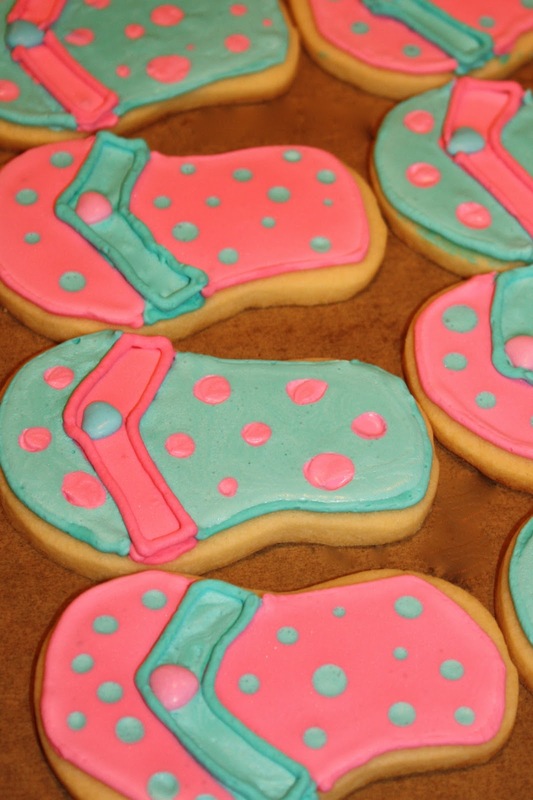 My mother-in-law had me makes these for her friend who loves flip flops. Happy Birthday Beth!